CaribPR Wire, NEW YORK, NY, Sun. March 2, 2014: The biggest investment summit on the Caribbean held outside the region annually, returns with a bang this Caribbean American Heritage Month to the U.S. Diaspora. 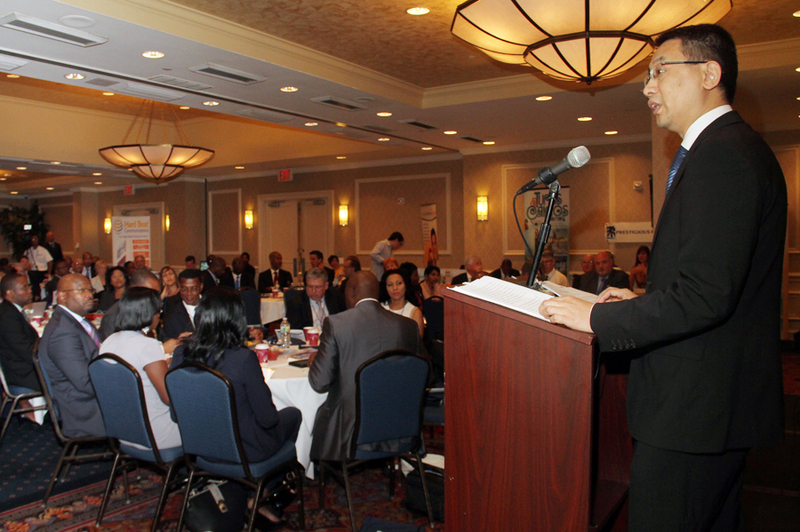 Global investors, business leaders and dignitaries from China, Russia, Africa, Dubai, the United States and the Caribbean will come together for Invest Caribbean Now 2014, (ICN) summit during Caribbean Week in New York this June 4, 2014 at the prestigious Harvard Club of New York City from 11:30 a.m. to 4 p.m.
ICN returns with a revamped agenda and a focus on advancing wealth in the Caribbean region. The summit will kick-off with a panel on Global Investment Trends & The Caribbean with representatives from China, Russia, Africa, the U.S. and Dubai. Also on the agenda this year will be a focus on medical tourism as an economic earner for Caribbean nations with CEO of Global Med Choices, Colin Childress, and Dr. Paul Angelchik, founder of American World Clinics. ICN will also spotlight on the Emerging Relationship Of Chinese Tourism & Investments In The Caribbean; IT and Clean Energy in the Caribbean and The Caribbean Diaspora: A Real Source For Investment? with the World Bank Group’s Qahir Dhanani, the US State Department’s IdEA’s Leigh Moran and Irwine Clare, advisory board member of the Jamaica Diaspora USA, North East. Harvard, Princeton and Colombia graduate and Caribbean-born scholar, Dr. Isaac Newton, will deliver the keynote address on the issue of economic development and investment outreach while bridging the wealth gap to the people of the Diaspora and the Caribbean while this year’s project focus will be on the Caribbean Market Village, a brilliant, new innovative $30 million resort project/theme park set to be built in Dunnery, St. Lucia. The summit will wrap up with the launch of the Woody Wilson Tropical Collection for the Caribbean. Woody Wilson is a renowned designer to stars like Brad Pitt, Matt Damon, Dwayne ‘The Rock’ Johnson and Terrance Howard among others. Immediately following the Summit, ICN will present its 2014 networking awards and cocktail reception from 4:30 to 6:30 p.m. in the Harvard Club’s Cambridge Room, where a Hollywood celebrity will join delegates and honorees who will include the 2014 Leadership Awardee, Gordon, Butch Stewart, chairman of Sandals Resort. A special addition to the ICN Summit of 2014 is the Diamond Dinner event for 20 individuals to network and do business privately. Attendance is by invitation only from Joe Bernstein at joe@investcaribbeannow.com. ICN Founder and Chairman Felicia Persaud, CMO of communications consultancy, Hard Beat Communications, says the 2014 Summit will be the best and biggest in the event’s four-year history because of the new team and board that’s been put in place to run the event and to market the Caribbean to the world. Invest Caribbean Now has as its main focus wealth creation for the region by capitalizing on global trends and indigenous creativity while managing scarce resources intelligently and building sound economics, investment in human development, and a strong alliance with nature. In the past three years alone, over 600 investment bankers, private equity investors, Chinese and U.S. government officials, Caribbean ministers of governments and premiers, hotel developers, architects, real estate developers, financial advisors, entrepreneurs and the media have attended the event. Past ICN honourees have included billionaire Sir Richard Branson and billion-dollar company, Royal Caribbean Cruise Lines. For special partnership and co-branding opportunities for this prestigious event, contact sheila@investcaribbeannow.com or log on to ICN’s brand new summit page at Investcaribbeannow.com. Early bird tickets are going fast but a few limited seats for the June 4th summit are still available at investcaribbeannow.com/earlybird. Partners for ICN 2014 include: Hard Beat Communications, The Caribbean Tourism Organization, One Caribbean Television, The PR Newswire, the Caribbean Commerce Magazine, Blinglets, The Caribbean Council for Economic Development, the Chinese Business Development Center, CaribPR Wire and News Americas Now.